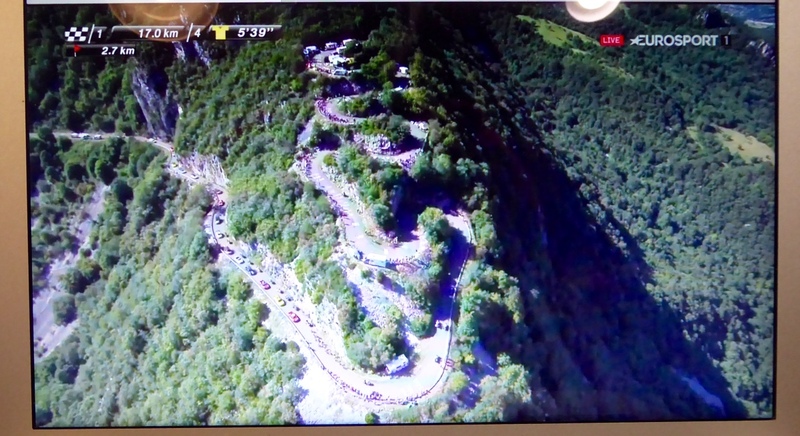 What a stage in Tour de France today! 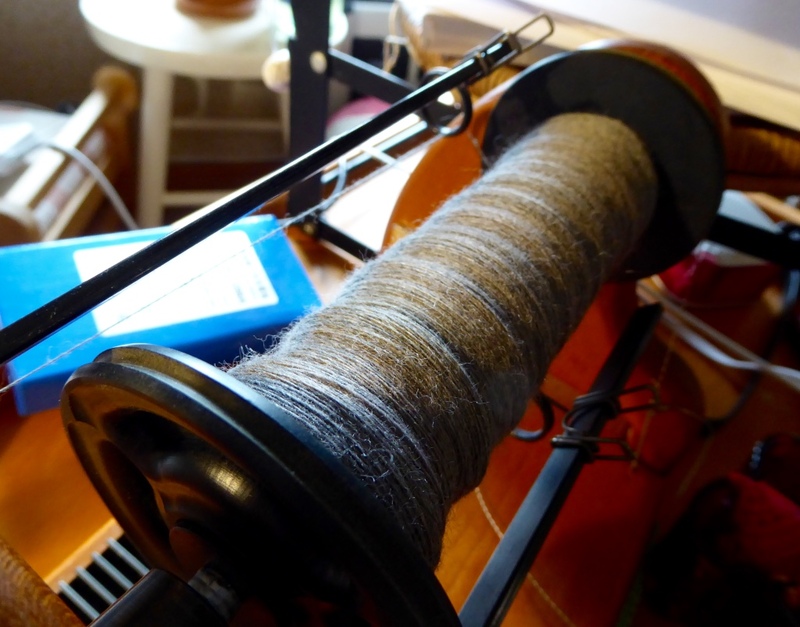 Luckily I was plying, so I didn’t have to keep an eye on my spinning. It’s scary to watch the riders come down in full speed, up to 90 kilometres an hour. They were going up those hairpin bends, but it was still horrific to watch them coming down on the other side of the mountain. My Tour de Fleece is going very well this year. I didn’t set more goals than to chain ply a thin singles with a lot of twist, and that I have already done. So I’m just taking it easy and spinning for pleasure. 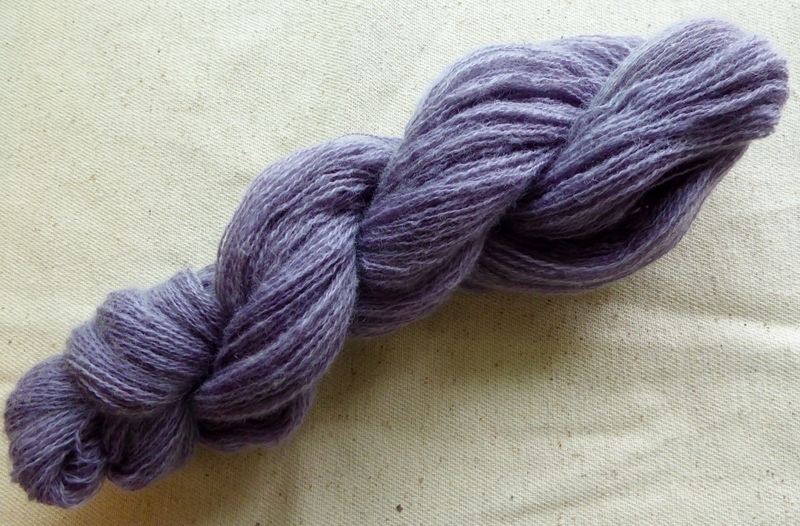 I have finished a small skein of Finnsheep lamb, grown and dyed by my favourite sheep farmer Petra. 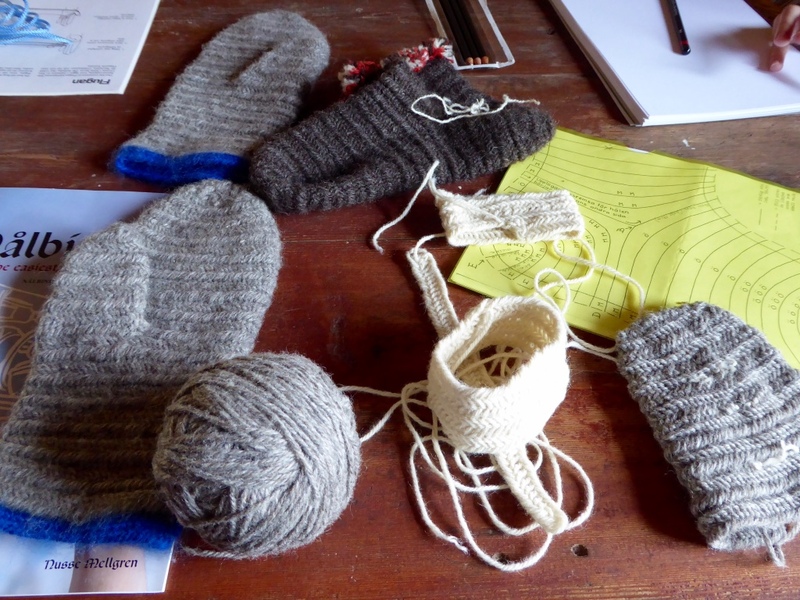 We call her wool Petrawool nowadays to show our liking and admiration for what she’s doing. 2-ply, 70 grams, 477 meters. I also finished two skeins of Finnsheep + Finnsheep x Texel. 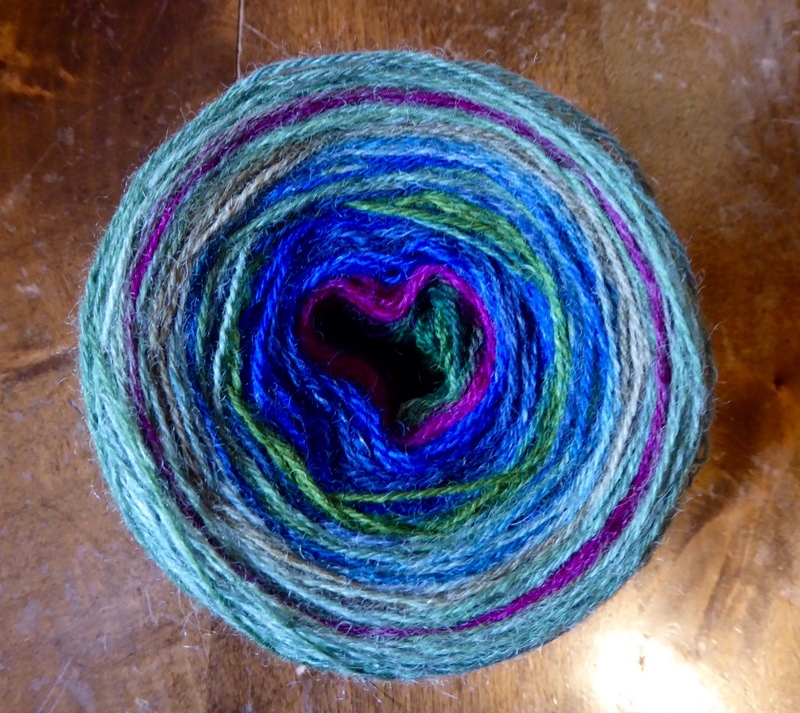 I dyed two tops earlier, and wanted to spin a chain plied yarn to see how the fibers bend. They bend pretty well, better than I thought they would. This is very nice wool for sturdier projects if you spin with much twist, and for finer textiles if you spin thin with less twist. Tomorrow I’ll start spinning two batts carded by my friend Carina, with wool from her own sheep, Dala Fur. Last Sunday hubby and I worked in public. I was spinning (surprise? 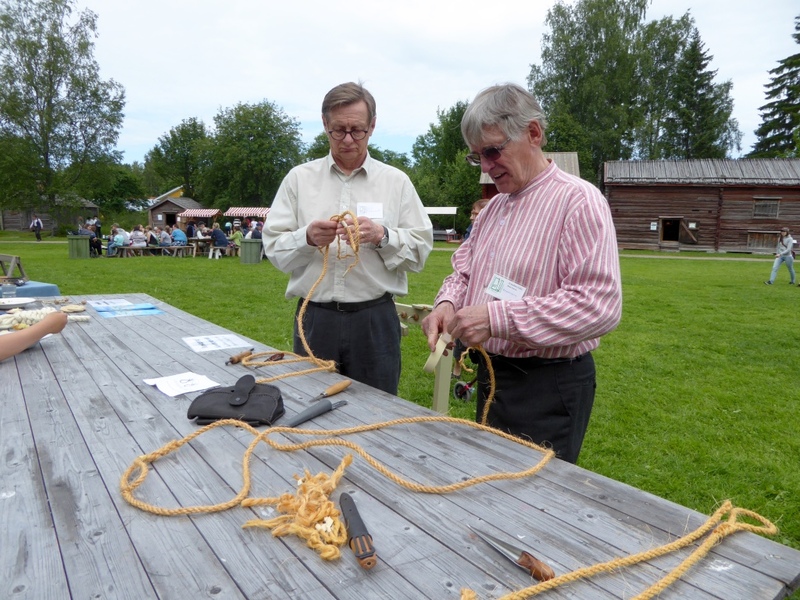 ), and he was making rope together with another crafter. He looks rather puzzled, while his companion Rune looks more happy. Rune’s wife Stina was nalbinding. She’s a lady with many skills! A bookbinder, a beginning spinner, a skilled knitter, book printing, and probably many more skills I haven’t seen yet. Just to make things a bit exciting in public, she was binding a sock! 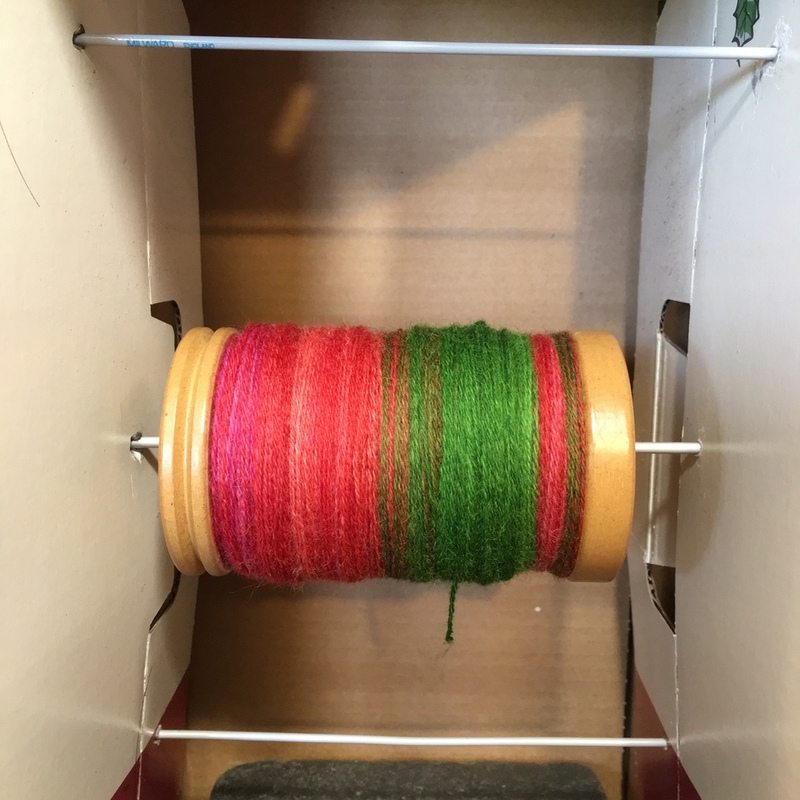 July 17, 2016 - 5:17 pm Marilyn F.
Ah, beautiful colors in your yarns and lovely spinning too.